D&D Kitchens storage solutions and kitchen furniture accessories series suits even the most discriminating of tastes. Choose from a wide range of solid constructions and high-quality finishes to allow you to design and create your dream home. Custom made Kitchen Accessories are the perfect solution for specific areas in your home. Give your kitchen that extra special finish by choosing from our range of accessories such as kitchen wirework, carousels, telescopic drawers, etc. 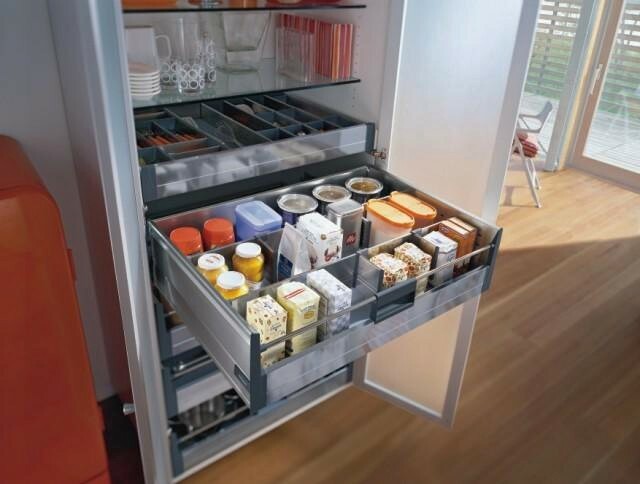 Kitchen pull out storage units are designed for long and continuous use in today’s busy kitchen. 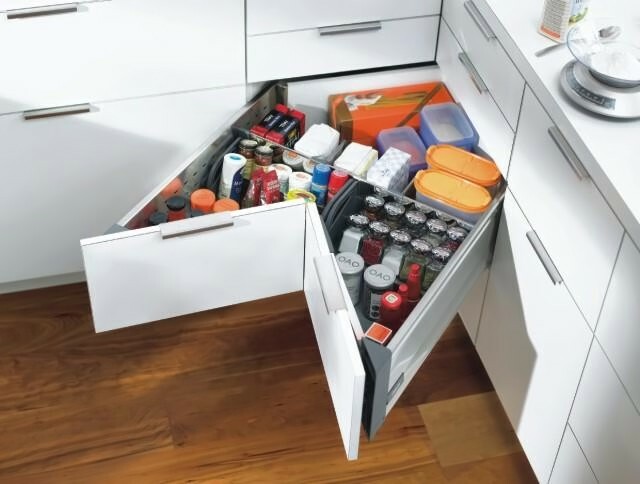 The soft close larder unit has a smooth opening and soft closing action which means that even when fully loaded, opening and closing the unit is effortless. 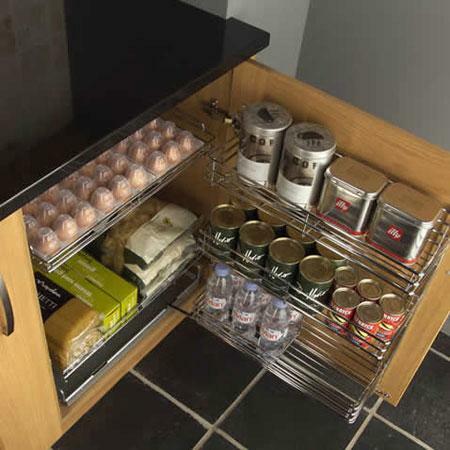 These are just a few of the Kitchen Storage Solutions that D&D Kitchens specialise in. Whether you’re looking to display, organise, decorate or maximize space, there is a piece of custom furniture out there perfect for you and your home. 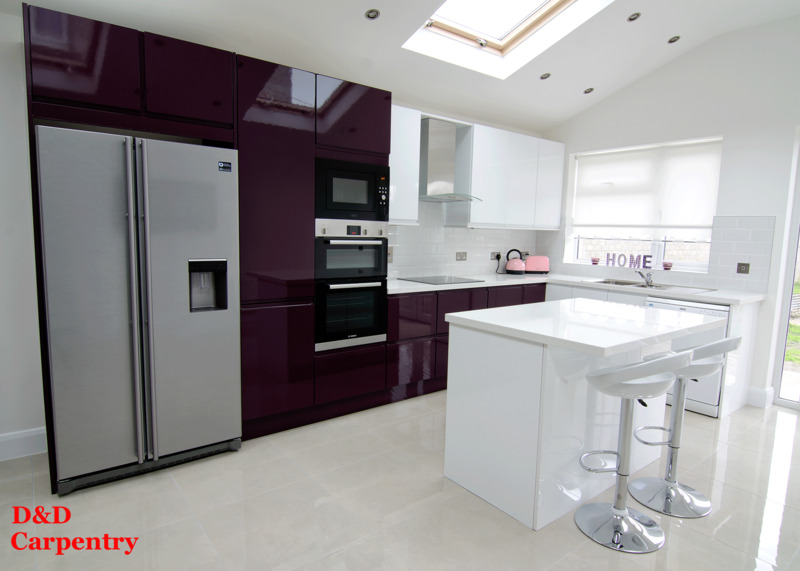 D&D Kitchens specialising in bespoke fitted kitchen furniture using only high-quality materials, we guarantee customer satisfaction every time. We will communicate with you to produce the best possible design based on your preferences and our professional knowledge, and we won’t finalise it until you are 100% satisfied with all the drawings and materials used in the design. 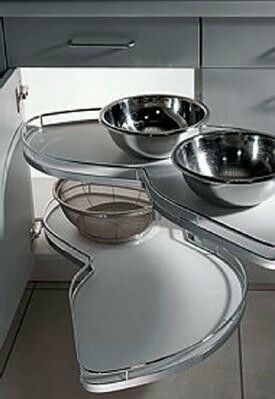 Read more about custom Kitchen Storage Solutions, Kitchen Accessories! Kitchen Storage Solutions. 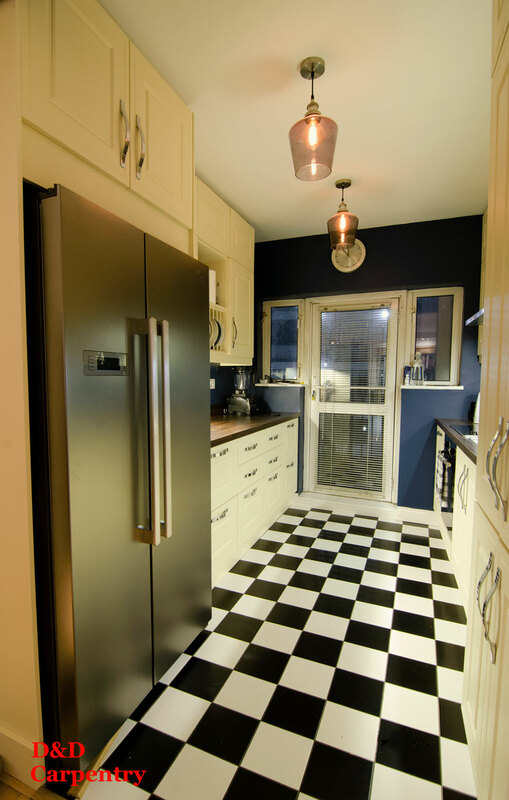 Bespoke Contemporary, Classic Design Kitchens. Kitchen Accessories! Plan you kitchen and get quote? 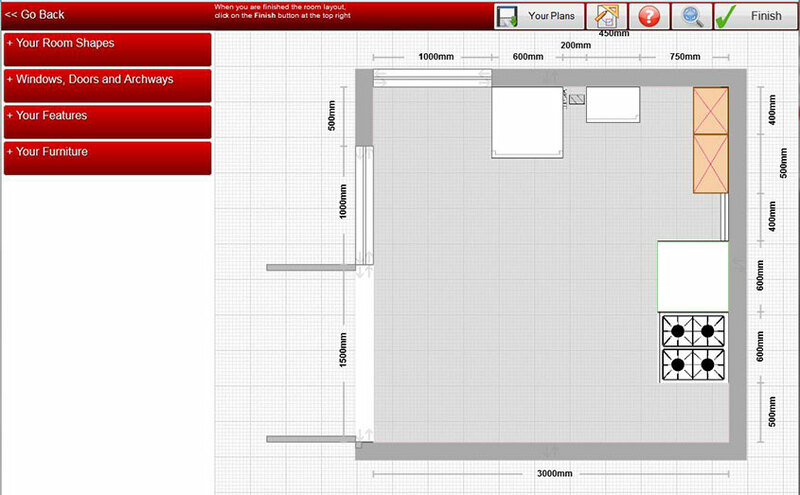 Click ‘Kitchen Planner’ to build your dream kitchen. We will take it from there and get you competitive quotation asap. You can sit back and relax while we do the hard work.